Nishava River is a river flowing through Bulgaria and Serbia. It is a tributary of the Morava River, also known as Bulgarian Morava. Nishava river springs from Kom peak in Stara Planina. After the spring, in its upper reaches, it is known as Ginska River. 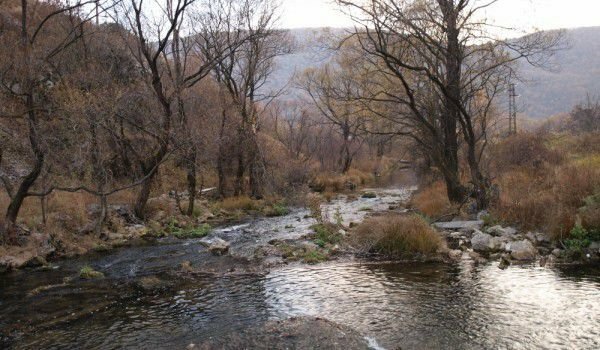 Years ago it was thought that the river Nishava gets back to the Dragoman river, Yezhevitsa. Nishava runs along the village Gintsi, and then flows through the valley of Godech. It passes by the village Razboishte. The river passes the Razboishte Monastery of the Blessed Virgin, which is among the few rock monasteries in the country. It is located right in the gorge of the river. The inhabitants of the monastery used the river for their needs as the monastery had no running water. After the village of Razboishte, Nishava River forms a beautiful gorge, which is located just before the village Kalotina. After Kalotina, Nishava crosses the Bulgarian-Serbian border and passes through the Caribrod and Pirot regions. Into Nishava river flows Temska River. The river has formed the beautiful Sichevska ravine. In Serbia, the river passes through the towns of Pirot, Caribrod, Nishka Banya, Bela Palanka and Nish. It is believed that the name of the river is given, because it ends in Nish. The length of the Nishava river in Bulgaria is forty kilometers. The length of the river in Serbia is one hundred fifty-one km. The river is very beautiful, huge dragonflies gather near her in summer, which are one of the attractions of the area for tourists.